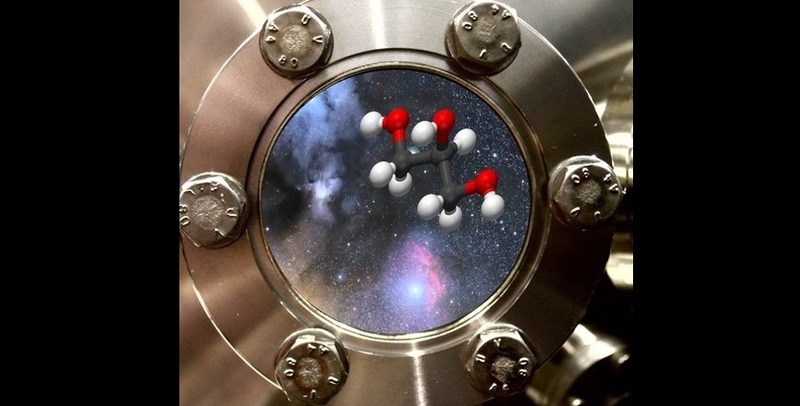 In recent years more and more complex molecules have been identified in space. Their formation schemes are still under debate. Gleb Fedoseev, now a postdoc at the Osservatorio Astrofisico di Catania in Italy and the first author of the article: "The density of particles in space is extremely low and carbon monoxide is highly volatile. However, it freezes out on small dust particles at temperatures below minus 250 degrees Celsius where it acts as the seed for larger and more complex molecules, once it starts interacting with impacting hydrogen atoms." Harold Linnartz, head of the Sackler Laboratory for Astrophysics at Leiden University: "If you systematically allow reaction products along this reaction chain to react with each other, more complex molecules are formed. We now have reached the level of glycerol, two levels higher and we have ribose, a sugar that is important in the coding of our genes."